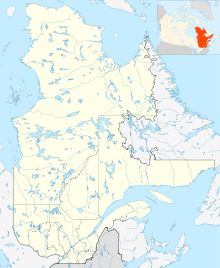 Umiujaq Airport, (IATA: YUD, ICAO: CYMU), is a public airport located near the town of Umiujaq, Quebec, Canada. It is operated by the Kativik Regional Government since late 1996. Past three hours METARs, SPECI and current TAFs for Umiujaq Airport from Nav Canada as available. This page was last edited on 15 July 2018, at 06:13 (UTC).